Roguish and unpredictable, Ego and Star-Lord share many of the same qualities as father and son. But when it comes to defending the galaxy as each sees fit, their approaches unquestionably differ. 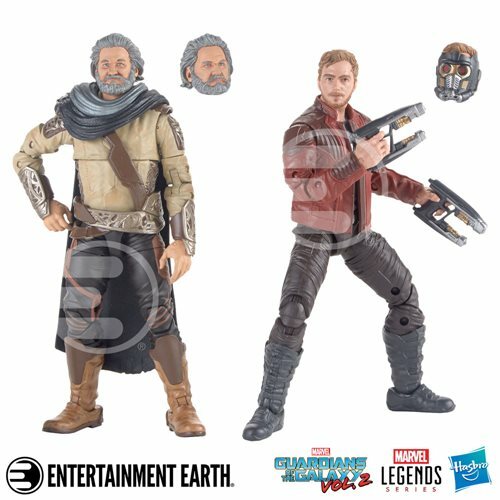 Imagine sending Ego and Star-Lord into Guardians of the Galaxy action with this 6-inch scale figure 2-pack from the Marvel Legends Series. With the Marvel Legends Series, both kid and adult Marvel fans can start a legendary collection of comic- and movie-based Marvel characters. The Marvel’s Ego and Star-Lord figures are highly articulated and feature a movie-inspired design, making them an awesome cosmic addition to the Marvel Legends Series. Ages 4 and up.